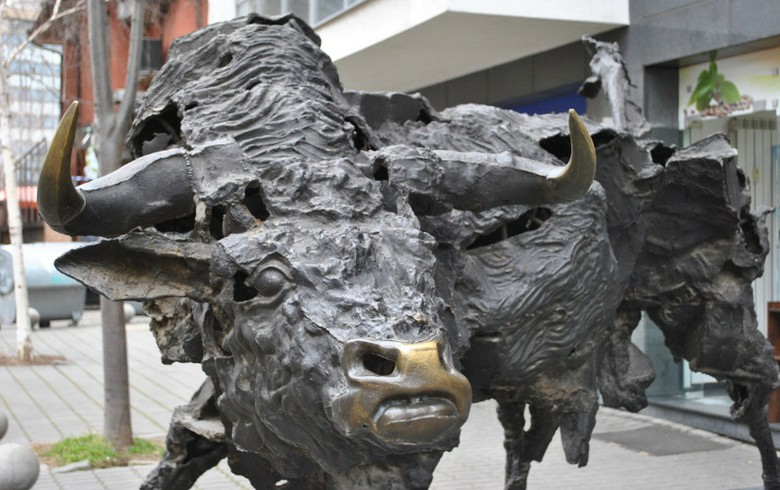 SOFIA (Bulgaria), April 15 (SeeNews) - The Bulgarian Stock Exchange blue-chip SOFIX index edged up 0.05% on Monday, snapping a two-day losing run, as drug maker Sopharma [BUL:3JR] and diversified group Doverie United Holding [BUL:5DOV] rose most among SOFIX members. Sopharma shares advanced 2.35% to 3.48 levs on Monday, while Doverie United Holding gained 2.27% to 2.70 levs. Sopharma was Doverie United Holding's largest shareholder at the end of 2018, with a stake of 33.24%. The rise in Sopharma and Doverie United Holding shares was partially offset by lender First Investment Bank [BUL:5F4] and financial and insurance group Eurohold Bulgaria [BUL:4EH], which lost 3.85% and 2.63%, respectively. Battery maker Monbat [BUL:5MB] was the top gainer among Sofia-listed companies on Monday, adding 3.15% to 6.55 levs. Monbat is a member of the the wider BGBX40 index and the equally-weighted BGTR30 index. The BGBX40, which tracks the 40 most traded shares on the Sofia bourse, increased 0.10% to 114.97 points, while the BGTR30, in which companies with a free float of at least 10% have equal weight, dropped 0.04% to 500.93 points. The BGREIT index, which tracks real estate investment trusts, edged up 0.05% to 120.82 points on Monday, solely due to a 0.27% rise in the share price of Advance Terrafund REIT [BUL:6A6]. Total regulated market trading turnover fell to 242,000 levs ($140,000/124,000 euro) on Monday from 263,000 levs on Friday.